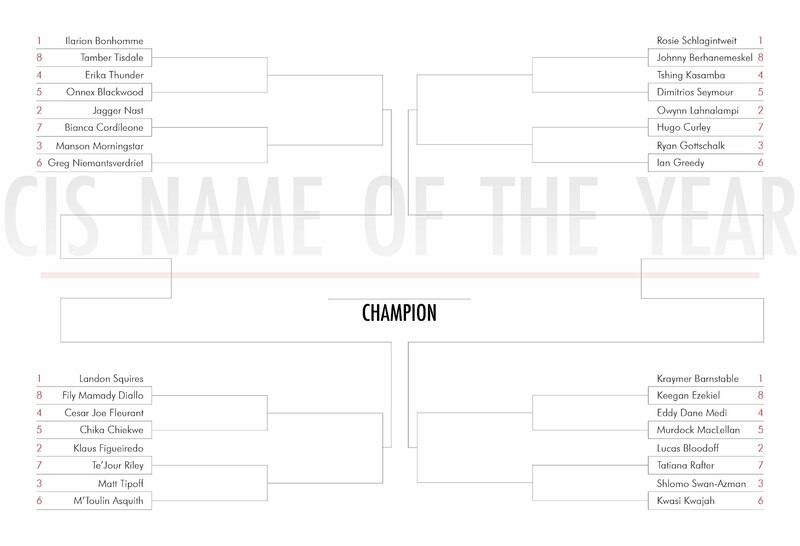 After several reader submissions, intense committee conference calls, and nitpicking over graphic design details, we are happy to present the first CIS Name of the Year tournament bracket. Landon Squires (U of S, wrestling). 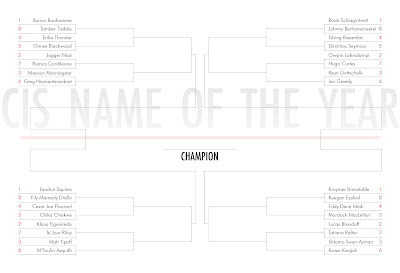 Winners will be determined by reader voting — the voting period begins tomorrow with the 4 vs. 5 matchups, and will proceed over the next few weeks until we have a champion.